Many refugees leave behind more than their home when conflict forces them to flee – they must also abandon their school. More than half of all refugees are aged under 18, and some older refugees were displaced while pursuing tertiary education. Nobody needs to be persuaded that it’s desirable for kids to stay in school. In my experience, this is particularly true among Syrians, whose culture is steeped in an appreciation of the value of learning. Yet, having become refugees, kids face tremendous challenges in completing their education. What are the barriers – and what can we do to help? Let’s look at each stage of schooling in turn. Suppose you’re a primary-aged refugee. If you’re lucky you’ll find a school run by an organisation such as UNICEF, the UNHCR or CARE. These schools do their very best to provide decent education, but resources are stretched to breaking point – some schools have to run triple shifts to fit in all the kids. It’s not an ideal preparation for secondary. If you become a refugee at secondary age, the same issues apply – plus you’ll face greater challenges from the switch to a new curriculum. Syrian kids whose escape from conflict leads them to Jordan must follow the Jordanian curriculum; if they end up in Lebanon, the Lebanese one; and in Turkey, they can continue their education only once they’ve learned Turkish. 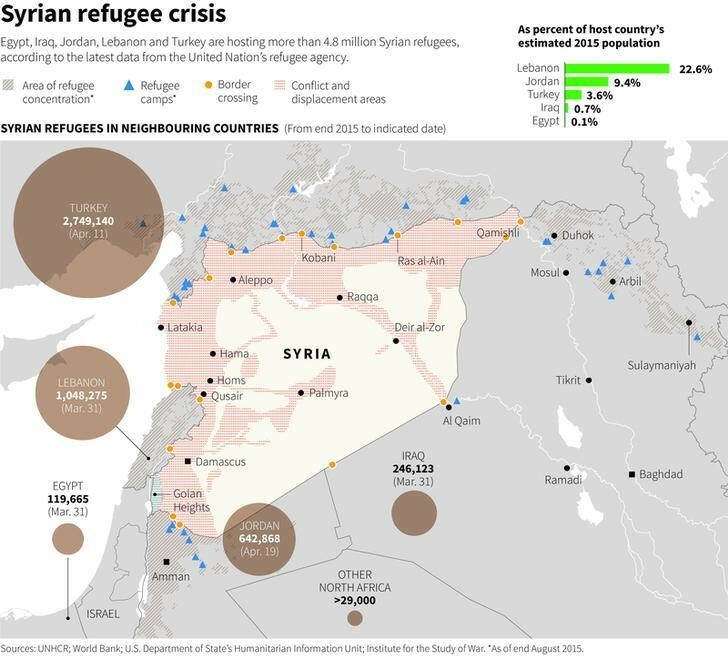 Often refugees move country more than once, compounding the disruption. Naturally, this sets back learning – as does the need to work, to help the family make ends meet. Refugees mostly cannot work legally, so everyone in the family – including children – has to take whatever irregular, low-paid work they can find. I have met children who are so exhausted from working, they tell me they go to school to take a nap. Many tell me they are not really learning anything at school, but want to keep going because it provides some sense of connection to their previous life and hope for a return to normality. Because of the pressure on capacity, schools for refugees often have a maximum age for attending. That means that a refugee kid whose secondary education is temporarily disrupted may find it impossible to go back and complete it. Unless they can find a vocational training course, their options become limited to odd jobs. Refugees who flee while pursuing tertiary education will find no opportunities in camps to continue their studies. Some programmes exist to try to help displaced students get into local universities. My own organization, Blue Rose Compass, identifies outstanding academic talents among refugees and arranges scholarships to world-leading universities, as well as International Baccalaureate schools in partnership with United World Colleges. However, a big problem is transcripts: how can students prove what they’ve already learned? When you become a refugee, it tends to happen suddenly – fleeing for your life, you have no time to visit college administrators and get your paperwork in order. Without transcripts, it’s challenging to get accepted by another university. Even if you have genuine transcripts, the growing black market for forgeries is making admissions departments increasingly sceptical. In the face of such difficulties, it is easy for once-ambitious kids to lose hope. On our application form for scholarships, we ask students to describe their dream. Tragically, many leave this question blank – they simply can’t visualise a better future. Hopelessness leaves kids more vulnerable to early marriage, or being recruited by criminal or terrorist groups. Syrian refugee children are seen during a lesson at Fatih Sultan Mehmet School in Karapurcek district of Ankara, Turkey, October 2, 2015. 1. Adequately fund schools and universities. National education systems in host countries need more funding to provide the schools and teachers necessary for all refugee children to have a quality education. Local universities need more support to offer displaced tertiary students the opportunity to complete their studies. 2. Expand vocational training. Vocational training is the best option for many kids who are too old to return to school. Some organizations, such as CARE with the support of various Western governments, are already helping refugees to become certified in trades – but more such efforts are needed. Working with Jordan’s government and corporate partners including Microsoft, my organization’s sister company Lynke is starting a six-month training programme in app-building for Syrian refugees and disadvantaged Jordanians – leading to a qualification recognised all over the world. 3. Develop a Syrian curriculum for refugees. 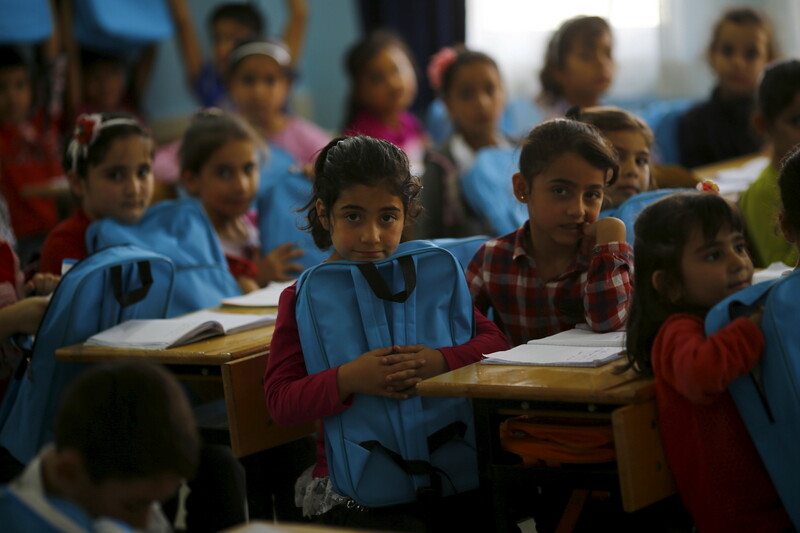 If schools for Syrian refugees in Jordan, Lebanon, Turkey and elsewhere could teach the same Syrian curriculum the kids were learning at home, it would minimise the disruption caused by changing countries. A blended model, with quality online content supporting local teaching, would make sense. 4. Allow refugee teachers to teach. Among the refugee population are many teachers, who – due to their refugee status – are legally barred from employment. This leads to a surreal situation in which schools for Syrian refugee children are short of teachers, while qualified Syrian teachers, familiar with the Syrian curriculum, are prohibited from teaching. More generally, finding ways for refugees to earn money legally will reduce pressure on their children to drop out of school and contribute to the family finances. To its great credit, Jordan’s government is leading the way with a new initiative allowing refugees to work legally in three “economic free zones” bordering Syria: Mafraq, Irbid and Ramtha. 5. Develop tests as an alternative to transcripts. We work with our partner universities to develop tests for them to assess the knowledge and potential of students without transcripts – but this is a time-consuming process. It would be more efficient to develop a single test that multiple universities would recognize as demonstrating that a student deserves a chance to continue their studies. 6. Facilitate travel for studies. When my organization connects a talented student with a university willing to offer them a place, and finds funds to cover all the costs, we face another problem – it can be very hard to persuade that university’s country to issue a visa. Many governments could do more to facilitate travel procedures for the most outstandingly academically-talented refugees to access the highest-quality education, helping them become future leaders in post-conflict rebuilding. The question is: can countries to come together to make these solutions happen?